If India is to emerge as a leading player in the evolving global knowledge economy, it must foster its technology and innovation capabilities. One way of doing this is to develop partnerships with global leaders in these areas. An excellent partner in technology and innovation for India could be Italy, and the two countries emphasized the sector as a significant area of cooperation during the recent visit of Mr Giuseppe Conte, Prime Minister of Italy, to India. Italy is renowned for its creativity and innovation. Today, it is the eighth largest economy in the world and the third largest in the Euro Zone after Germany and France, with a GDP of $1.86 trillion. It is also the world’s sixth largest manufacturing nation, dominated by small and medium enterprises clustered in many industrial districts. Characterized by the export of niche market and luxury products, Italy has established itself as the eighth largest exporter globally with 59% of its international trade within the Euro Zone. Total exports from Italy stood at $506 billion in 2017, primarily comprising precision machinery, metals and metal products, clothing and footwear, luxury cars and motorcycles. India’s trade with Italy has been fluctuating over the last five years but rose to cross $10 billion in 2017-18, with its exports to that country at $5.7 billion and imports at $4.8 billion. India’s exports to Italy include iron and steel, automotives, organic chemicals, textiles, and pharmaceuticals. While Italy is India’s fifth largest trading partner in the EU, the balance of trade has been in India’s favor since long. In terms of investment, Italy’s presence in India is rather low, amounting to less than $3 billion cumulatively between April 2000 and June 2018, even though several Italian companies are well-known in India. A number of Indian companies are operating in Italy, including six Indian banks. Italy has been a pioneer in education and science and technology. The country can be credited for establishing the very first university in the Western world, the University of Bologna, believed to have been set up in 1088 AD. Italian scientists have had notable successes, winning several Nobel Prizes in chemistry, physics and medicine over the years. While ancient scientific exchanges between India and Italy are known to have taken place, formal bilateral cooperation in science and technology first took shape in 1978. Today, India’s technical manpower resources are attracting global firms seeking competitive services with quick time-to-market. This blends well with Italy’s innovative industries, renowned for their design and quality excellence. Italy’s academic and research institutions as well as businesses can work with Indian universities and industry to develop advanced manufacturing and further the fourth industrial revolution. The two countries renewed science and technology cooperation in 2003. The Indo-Italian joint committee was established in October 2016 to re-launch scientific exchanges. The committee has approved several initiatives for collaborative projects in the areas of information and communication technology, energy, environment and sustainable agriculture, healthcare, biotechnology and medicine, nanotechnology and advanced materials, physics and astrophysics and technology applied to cultural and natural heritage. 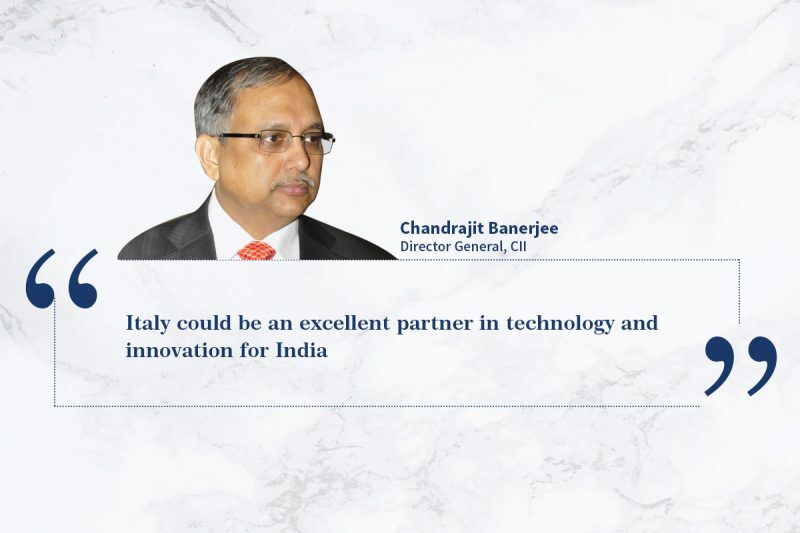 With Italy partnering CII’s recent Technology Summit, we can look forward to further cooperation in cleantech, renewable energy, ICT, healthcare, aerospace, education, and cultural heritage, as also cutting edge areas such as gravitational waves, bio-robotics, e-infrastructure and so on, which can push the knowledge envelope for global science and technology. This will boost technology transfers, joint ventures, R&D cooperation and collaborations between industry and research institutions. With the rich legacy of their great civilizations dating back thousands of years, India and Italy are poised to develop an enhanced partnership for advanced science and research.